Fiona is an experienced speech-language therapist who enjoys working with children of all ages and ability levels to improve their communication skills. She views communication skills as being of the utmost importance and strives to help each client become a confident communicator and develop their speech, language, literacy and interaction skills to the best of their ability. 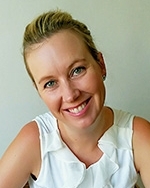 Fiona has practised as a speech-language therapist for 18 years in Australia, the United Kingdom and Hong Kong. She works in our private practice, in schools and pre-schools and in clients’ homes. She also provides an online teletherapy service for some clients. Fiona is committed to delivering high quality services that are empathetic and evidence-based and tailored to meet the needs of each individual client, family and educational setting. She thoroughly enjoys working with children and adolescents of all ages and with all kinds of communication strengths and weaknesses. She works closely with parents, teachers and other significant people in a child’s life to ensure that the best outcomes possible are attained. Fiona has developed experience and extensive clinical knowledge in working with a range of communication difficulties, including: speech sounds (articulation and phonology); speech fluency (stuttering); receptive language (such as understanding words, sentences, instructions, stories); expressive language (saying words, sentences, grammar, telling stories, expressing thoughts, feelings and information cohesively); literacy skills (reading, spelling, writing) and social skills. Fiona really enjoys helping children to become more confident as well as competent communicators. Fiona works with children and teens from a range of backgrounds and with a range of different needs and diagnoses, including Down’s Syndrome (and other genetic conditions), Autism Spectrum Disorder, global developmental delay, ADHD.